Young children learn a great deal by observing the world around them. We encourage this by getting students involved in activities both inside and outside the classroom. Students in the Lower School spend well over half their day involved in some kind of hands-on activities or creative projects. Walk into a classroom at this level and you’ll generally find a beehive of motion. “Research” is a concept that helps a child to observe activities or phenomena in the environment, thereby learning first-hand about basic concepts in physics, biology or chemistry. 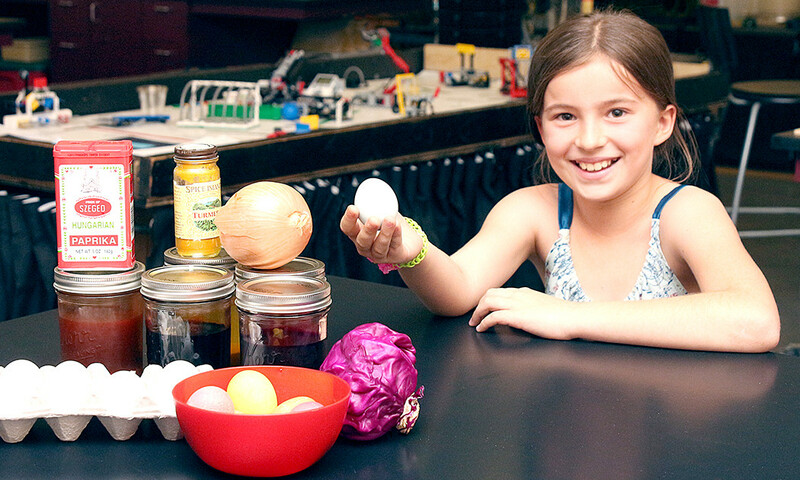 Lower School students get a chance to spend time in the school’s Science Lab engaging in a variety of research projects as part of their regular curriculum. Field trips are scheduled regularly and are a key element of the Lower School experience. Emphasis on hands-on learning gets the Lower School students out on bi-weekly field trips to a variety of destinations. Typical trips might include touring a museum, visiting a fish hatchery, visiting a fire department or public library, exploring botanical gardens, touring a post office, or attending a musical concert. Focus is always on exploring the world around them.